Many states have Certificate of Need or Certificate of Necessity (CON) laws. CON laws are designed to control the growth and associated costs of health care facilities and services, coordinate the planning of healthcare facilities, and avoid duplication. Although there is an incredibly large degree of variation between jurisdictions, all CON laws require that certain health care providers receive approval before commencing major projects, e.g., building expansions. Some states also allow for a Certificate of Exemption (COE) in lieu of a full CON. Federal law used to require states to have an approval process for healthcare projects involving major capital outlays but, despite the repeal of that law, 38 states still have some form of CON program. CON approval is most commonly required for acute care hospital beds, ambulatory surgery centers, nursing homes, open heart surgery, and rehab facilities. Relatively few jurisdictions require approval for assisted living facilities or medical office buildings. A number of factors combine to make the CON and COE process difficult. From a procedural as well as a substantive standpoint, the rules tend to be extremely complex. Applications commonly require not only regulatory expertise, but financial and medical knowledge as well. And there is no set formula for obtaining approval. Each project is considered unique. Success depends not on filling out the proper forms but on convincing the relevant authority that the project will serve the healthcare needs of the community. Moreover, providers operating in multiple jurisdictions can be subject to very different rules. Variations occur regularly as to which types of projects are covered, how standards are applied, and how the application process is conducted. 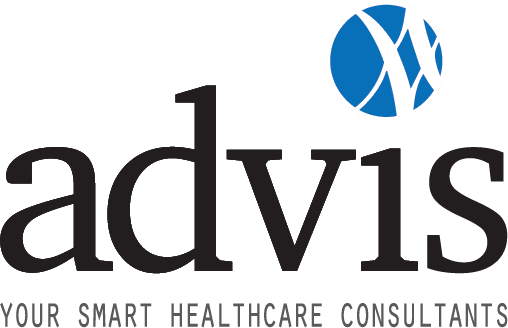 Advis has the experience and an impressive track recordencompassing multiple states where CON and COE issues are concerned. Advis has never failed to win approval for a client’s project. We have cultivated good, long-standing working relationships with multiple state authorities. These relationships and our reputation within the industry helps to ensure a prompt and fair hearing of our clients’ applications. The skill set required to complete CON applications and to argue their merits before the various regulatory bodies align perfectly with Advis’ particular strengths in regulatory, financial, and medical knowledge. The basis of Advis’ success has been and continues to be its ability to find the uniqueness in every project and to persuade the relevant governing body of the project’s merits, be it through the CON application process itself or during an actual CON hearing. Advis has extensive experience in providing expert testimony concerning particular CON submissions.